One of the Best Ski Resorts in PA! Located within the lush Pocono Mountains, Camelback Mountain Resort allows you, your family, and friends to enjoy winter to its fullest. The tons of activities are fun for adults and kids alike. Camelback has recently expanded its terrain to give its visitors even more room to enjoy skiing, snow-tubing, and other exciting winter sports in a safe and less-crowded environment. Even if you possess no experience on the slopes, Camelback's instructors are top-of-the-line and will happily guide you through the process. Are you looking for a fun and inexpensive ski trip in the Pocono Mountains? Whether you're a beginner or advanced skier, Shawnee Mountain Ski Area is the go-to venue for fun on the slopes. It's also home to PA's newest high-speed ski lift! Check out the website for a series of exciting special events during the summer and fall. The Shawnee Ski Shop is a one-stop shop for everything you'll need on the slopes: skis, bindings, ski boots, snowboards, jackets, pants, handwarmers, etc. When you get hungry, there are five great dining establishments to choose from! One of the Great Family Ski Resorts in PA! Alpine Mountain Ski & Snow Tubing Center is a family-friendly ski resort in the Pocono Mountains. 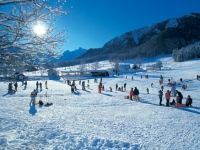 Indulge the picturesque scenery, as you take advantage of its 21 ski trails accessible to different levels of skiers. After your long day on the slopes, relax with a warm cup of hot chocolate or a snack at the cozy BYOB lounge. Several choices of lodging in the nearby area include the Comfort Inn & Suites and the Quality Inn. Ski the Highest Vertical Point in PA! Explore 37 exhilarating slopes on over 162 skiable acres at the Blue Mountain Ski Area in the Poconos! Boasting Pennsylvania's highest vertical ski point, the resort offers novice, intermediate, and expert trails to fit skiers of every level. Blue Mountain also offers the best snow tubing in Pennsylvania, within its robust snow tubing park. You're given many dining establishments to choose from, allowing you to grab a meal without leaving the mountain. 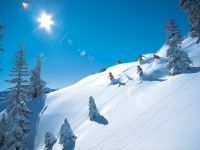 Check the website for many hotels and B&B's in close proximity to the Pennsylvania ski resort. Blue Mountain is within driving distance of New York City, Washington, D.C., and Philadelphia. Ski Down the Highest Mountain at this PA Ski Resort! Brave the highest skiable mountain and the most challenging slopes in PA, with a visit to Blue Knob All Seasons Resort! In addition to the best downhill skiing, Blue Knob offers snow tubing and groomed Nordic skiing. 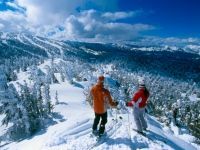 The resort contains 34 trails, for beginner to expert skiers. During the winter season, you can enjoy a renowned culinary experience at the Black Bear Inn. Compliment your first-class meal with the Inn's world-class selection of wines. You can also stop by Mueller's Pub, which offers a tempting variety of beers and liquors. Liberty Mountain Resort offers 100 beautiful acres of skiing, snowboarding, and snow tubing trails. For those looking for family fun, Boulder Ridges has 14 snow tubing lanes that are suitable for all ages. Looking to stay overnight? The Liberty Mountain Hotel is available on-site and gives you the choice of 99 comfy guest rooms (including one luxury suite). Stocked with the latest gear and equipment, The Liberty Mountain Sports Shop contains everything you'll need for a day on the slopes. 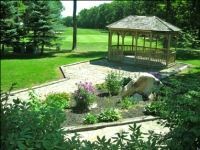 The resort also offers amenities like a shuttle bus service, basket check services, seasonal lockers, a children's play center, and a Starbucks. One of the Top Pennsylvania Ski Resorts! Elk Mountain offers the best in Pennsylvania skiing with its quality snow, challenging terrain, and topnotch staff. Established in 1959, Elk Mountain offers the pleasure of skiing in Vermont without the long drive. 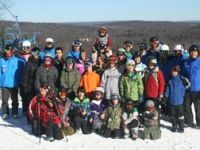 Whether you're a beginning skier or looking to fine-tune your skills on the slopes, you can benefit greatly from a lesson from one of Elk Mountain's 75 informative, trained instructors. There are even children's programs, in which kids 3-12 could learn to ski. 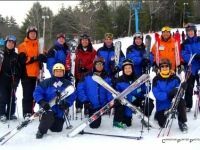 If you're planning a skiing trip with a group of 20 people or more, Elk Mountain offers superb group benefits. Best Downhill Skiing in PA! 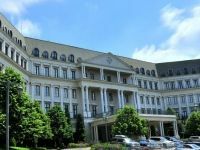 Nemacolin Woodlands Resort is home to Mystic Mountain, Western PA's premier learning environment for first-time skiers. The staff is well-experienced, offering private lessons to anyone ages 4 and up. If snow tubing is your thing, navigate down the 800-foot tubing park! Downhill skiing and snowboarding are available on 7 slopes, with difficulties ranging from beginner to expert. Mystic Mountain's vertical drop is 300 feet, with three lifts on site. For those looking to ski or snowboard at night, the mountain is 100% illuminated. Rental equipment is available.